THERE will be a fantastic evening of top class music from a variety of local performers at The Mill, Ballygugan, coming soon. ‘The Big Gig‘ is a summer, outdoor charity, music event on Sunday 25 August 2013, on Bank Holiday weekend. The event is another important fundraiser for local charity Mainstay DRP which provides services for adults with a learning disability. 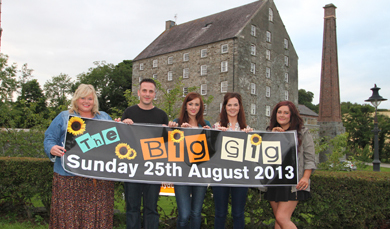 Nicola Trainor, organiser of The Big Gig, with singers performing on the night at The Mill, Ballydugan near Downpatrick. Respite care, supported housing, day-care services and vocational training are all provided alongside the original residential care facility. The money raised from the event will be put towards Mainstay DRP’s ‘Building The Dream Project’ where they have embarked on an ambitious effort to create a state-of-the-art, purpose-built development for adults with learning disabilities in Downpatrick. Nicola Trainor, a DRP support worker, said: “The venture will cost £3million to construct and a site has already been secured on the Killough Road, on the outskirts of the Co Down town. The three distinct services provided by Mainstay DRP –residential, respite and day care – and these will all be offered at this new location. “The Big Gig has a line up of seven acts: Damien Brennan, Barry McKeever, Martina Cunningham, Gerry Leathem, Matthew Campbell and the band Take It Easy. “The Big Gig would not be happening without the generosity and support from the owner of the Mill, Noel Killen and his staff, from Down District Council and of course our line up of great acts. They are the ones giving up their spare time to come and perform in this event and having such a talented line up of singer-songwriters, musicians and performers has really made this event a pleasure to organise. “They are all local talented performers who are supporting their local charity, which is great to be apart off. 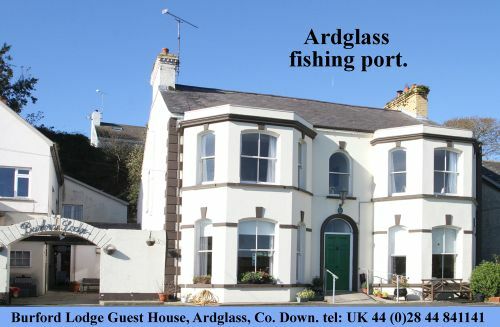 The night itself will be great craic, with great company, in a great location. It all adds up to a super night out,” added Nicola. And singer/sonwriter Damien Brennan from Newcastle also performing said: “I play Indie rock folk and at the moment I am putting tother a CD which will be released in a couple of months. I sing and play guitar, but I am putting together a new band at he moment and this should be very exciting once its all sorted out.